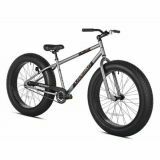 26" Fat Tire Bicycle Features 3 Piece Crank, 36-Spoke Wheels, Oversized 26 x 4" Tires, Coaster Brake Single Speed, and Custom Designed Steel Frame. 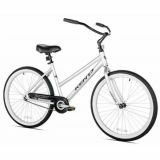 26" Fitness Bicycle Features 17" Alloy Frame, Coaster Brake, Comfort Grips, Rustless Chain, Adjustable Stem, Self Sealing Tubes, Quality Velo Saddle, and Puncture Proof Tires. 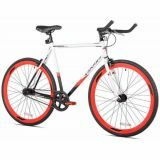 26" Fitness Bicycle Features 19" Alloy Frame, Coaster Brake, Comfort Grips, Rustless Chain, Adjustable Stem, Self Sealing Tubes, Quality Velo Saddle, and Puncture Proof Tires. 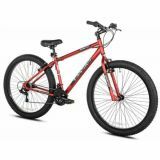 29" Fat Tire Bicycle Features Aluminum Frame, Twist Grip Shifting, Steel 3 Piece Crank, 48 Spoke Alloy Rims, Oversized 29 x 3" Tires, 21 Speed Shimano Gearing, Front & Rear Alloy Hand Brakes, and Quick Release Seat Post Clamp. 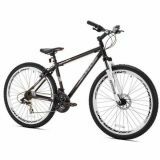 29" Mountain Bicycle Features Alloy Stem, Aluminum Frame, Alloy Crown Suspension Fork, 36 Spoke Hi Profile 29" Alloy Rims, 21 Speed Shimano Shifters & Rear Derailleur, and Front Mechanical Disc Brake & Linear Pull Rear. 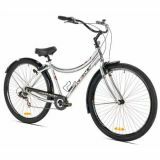 32" Fitness Bicycle Features 32" Wheels, 48 Spoke Alloy Rims, 7-Speed Shimano Shifting, Low Step Aluminum Frame, Lycra and Leather Cruiser Seat, Handcrafted Aluminum Frame, Front and Rear Alloy Caliper Brakes. Fixie Road Bicycle Features Alloy Stem, 700 x 32 Tires, 32 Spoke Alloy Rims, Steel 3 Piece Cranks, Alloy Side Pull Brakes, Rear Single Speed Flip Flop Hub, Time Trial Bar w/Cross Brake Levers, and Steel Single Speed Frame with Horizontal Drop Outs.